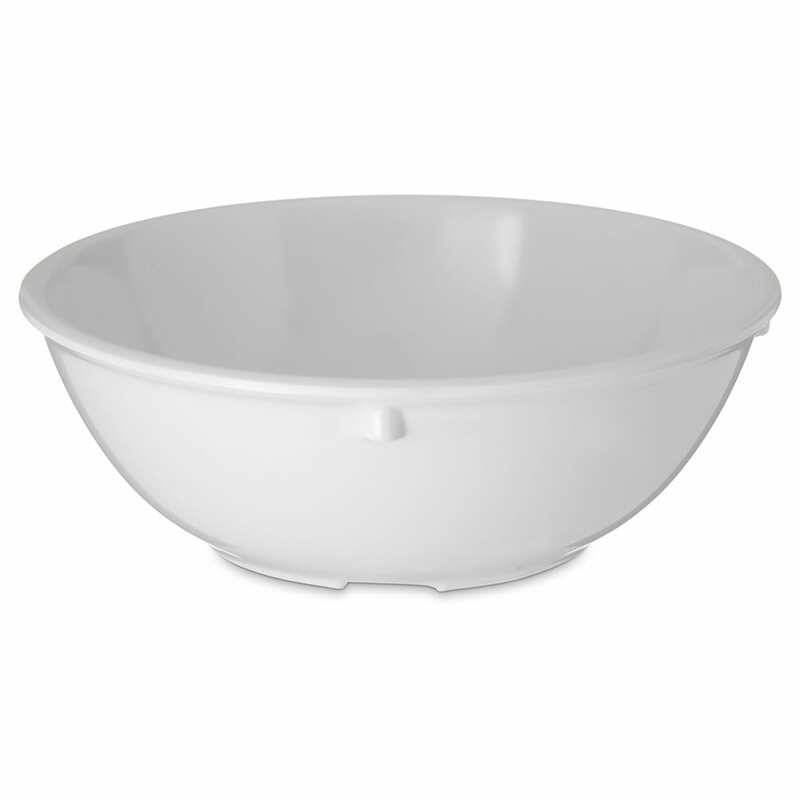 The Carlisle 4352102 nappie bowl comes in white to blend into most settings, while hot and cold temperatures are not drawn away from product because the bowl is temperature insulated. 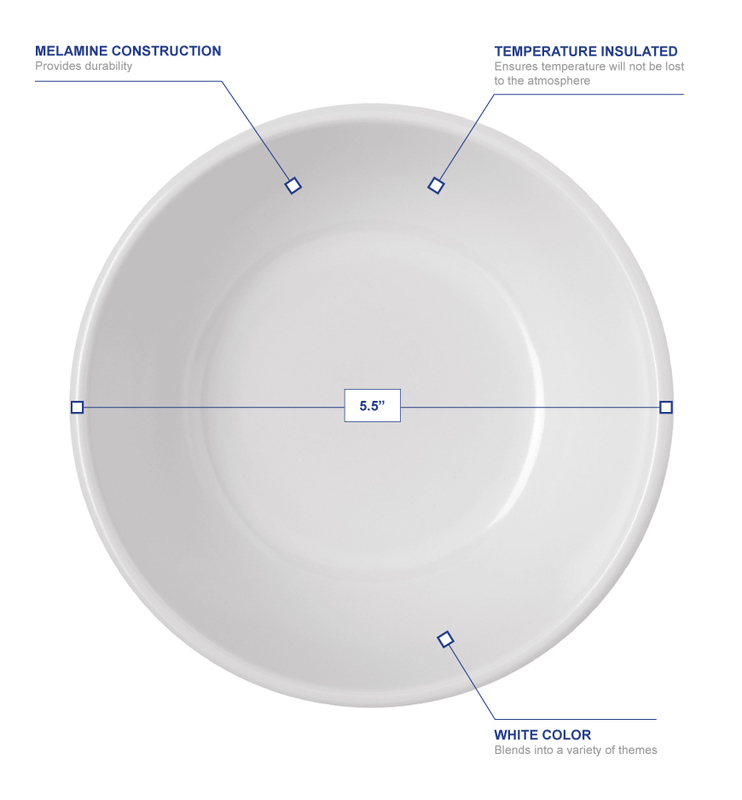 Made of melamine, the dish is built for heavy use, while the reinforced rim and foot strengthen the bowl. The foot is designed so the dish can stack with other bowls. With its 5.45-inch diameter and 1.94-inch height, the Carlisle 4352102 nappie bowl can hold 14.8 ounces.